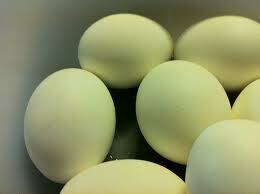 Have you ever peeled five dozen hard boiled eggs at one time? I hadn’t before this morning. My wife, Anita, and I cooperate with God at a home for needy children in Oaxaca, Mexico. Anita is a cook. She was preparing lunch for about 100 children and staff members. Normally she has some help with this task, and normally I am working outside with landscape concerns. This morning she was alone in the kitchen, and it was raining outside, so I helped her. One item on the menu was potato salad, and my job was to peel the hard boiled eggs, all 60 of them. At first it was kinda fun. Then it just didn’t seem so bad. After that it became frustrating. Finally, I ended up talking to the eggs. And so it went. I noticed it had stopped raining. Maybe I could slip out into the garden and do something interesting like dig a drainage ditch or shovel compost, anything but peel eggs. But I stayed and helped Anita finish the potato salad, baked chicken and pasta soup, because I love her and want her to be happy; kinda the way God feels about us. Struggling with the sticky egg shells, I began thinking about perspective. I realized there is a right and wrong perspective to have about everything, even peeling eggs. A correct and incorrect way of looking at things in life. Perspectives that can make our existence happier or sadder; joy filled or filled with frustration. That’s why God gave us His Word. He created us and He tells us the proper way to look at situations. Outlooks that improve outcomes. He not only gives us His Word, but puts the Holy Spirit in us to work out His will and His way. Paul prayed that the “heart eyes” of the Ephesians (chapter one) would be enlightened. It is our “enlightened heart eyes” that gives us wisdom, revelation and knowledge. Paul is praying that the Ephesian Christians would be able to see situations the same way their Savior does. Jesus never sinned, because He always had perfect perspective, wisdom, revelation and knowledge about all situations that faced Him. With His perspective guiding us, we will be a lot further down the road to glorifying God by enjoying Him and this life He has given us. I took a theology class in college. The professor defined theology as “thinking God’s thoughts after Him.” I think that is a great definition, and more than that, a goal of my life. When I read and study His Word, then I find myself thinking more “God thoughts” and less James Schwab thoughts. Less negative thoughts enter my head, pushed at me by the world, the flesh and the devil. Paul says to the Corinthians,”we take captive every thought to make it obedient to Christ” (2 Cor. 10:5). When I think God’s thoughts after Him, I take errant thoughts captive and make them obedient to Christ. Paul wrote to the Philippians that they should do “everything without grumbling or arguing” so that they could become blameless and pure, children of God, without fault in a crooked and warped generation (Phil. 2:14). He says to the Colossians, “Let the peace of Christ rule in your hearts, since as members of one body, you were called to peace. And be thankful“, “doing everything in the name of the Lord Jesus, giving thanks to God the Father through him” (Col 3:15,17). So what’s behind peeling hard boiled eggs? What’s the inner perspective I need to have to affect my outward behavior positively? Don’t grumble. Don’t argue. Let the peace of Christ rule in my heart as I give thanks. Give thanks for a delicious meal that I helped prepare. Give thanks that over 100 children and staff members got a hot, nutritious lunch. Give thanks that it has stopped raining and back to the garden I go! As part of Jesus conclusion to the sermon on the Mount, he says “Enter through the narrow gate….small is the gate and narrow is the path that leads to life, and only a few find it.” I read those words of Christ and began to ponder what it was that Jesus wanted his hearers to take away as they headed back down the mountain to their homes. I wondered what Jesus wanted me to learn from this statement as I was about to begin my day of work at the home for needy children in Oaxaca,Mexico. I couldn’t quite get a handle on it, so I gave up and went outside to begin my day. Now I was beginning to understand. Entering the narrow gate means going against what comes naturally, and following the principles that Jesus had been laying down in his sermon. Principles of having a kingdom heart. Principles like not judging; forgiving; loving those who do wrong. Jesus was saying that it is easy to follow the flesh and do what comes naturally – that is what the crowd is doing who enter the wide gate and go down the broad road that leads to destruction. The last story he gives us in his sermon is the well known story of the wise builder and the foolish builder. In his introduction to this parable Jesus says, “everyone who hears these words of mine and puts them into practice is like a wise man who built his house on a rock.” Jesus could just as well as said that everyone who hears these words of mine and puts them into practice is like a wise man who entered through the narrow gate. What are some of the other words that Jesus said that we need to put into practice? 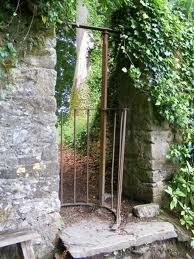 Other things we need to do to enter through the narrow gate? Jesus said don’t be angry with your brother. Don’t lust. Don’t do acts of righteousness to be seen by people so that you will be honored. He said his disciples are to love their enemies and pray for those that persecute you. He said to turn the other cheek and give to those that ask and go the extra mile. He said we are to treat others like we want to be treated. These are not easy things, but are marks of a true disciple with a kingdom heart who strives to enter the small gate and go down the narrow path. If we really believe that God is good and that He loves us and wants us to be happy, then we needn’t worry about anything. At the end of Matthew chapter six, Jesus teaches his disciples that not worrying is part of what it means to enter through the narrow gate. Jesus said, “Do not worry about your life, what you will eat or drink, or about your body, what you will wear.” He goes on to say that your Heavenly Father feeds the birds and dresses the flowers and you are more valuable than they are. People without Christ in their lives worry about many things; get stressed out at work and home, and are headed down the broad path toward destruction. Worry and stress destroys a persons health, mental outlook, happiness and relationships. Trusting God to meet our physical and spiritual needs leads to health, happiness and life. Jesus put the question to the crowd and to his disciples, are you going to be wise and put what you have just heard me preach into practice, or are you going to be foolish and ignore what I have just said? Are you going to enter through the narrow gate that leads to life, or continue going down the broad path that leads to destruction? I ask in the vain of C.S. Lewis, are we going to happily make mud pies the rest of our lives, or are we going to make sand castles by the sea? It seems to me that because God loves us and wants us to be happy, that when we go to church we should focus on Him. We should thank Him, glorify Him, and honor Him. Our attention should be on God. But if you think about the words in most of the songs we sing, the attention and focus is mainly on us. Particularly me, myself and I. “Here I am to worship”. “I surrender all.” “Above all, He thought of me.” When I go to church, I don’t want to think about me. I want to think first of all about God and His mercy, grace, love, power, kindness, compassion, gentleness and presence. Secondly, I want to focus on the community of faith around me, the called out ones. God brings us together as the family of God, and its proper for us as a community to worship and adore Him with songs and words that reflect our togetherness; words like “us” and “we” and “our”, rather than “me”, “myself” and “I”. It seems to me that everyday we should thank God for one day LESS. A lot of Christians thank God everyday for one day more. One day more to enjoy God. One day more of life. One day more to live for God. While that is all good, I think it’s better to think about the best – and the best thing that will happen to us is that one day we will see God face to face. We will be in His immediate presence, engulfed in His love, free from this world and its sin and pain and suffering. Each day we live is one day less until we are with God. Paul says in Philippians one, “For to me, to live is Christ and to die is gain….I desire to depart and be with Christ, which is better by far.” In the second chapter of Peter’s second letter, he describes the awful wicked world that we live in. In the following chapter, Peter writes, “You ought to live holy and godly lives as you LOOK FORWARD to the day of God and speed its coming. That day will bring about the destruction of the heavens by fire, and the elements will melt in the heat. But in keeping with his promise, we are LOOKING FORWARD to a new heaven and new earth, where righteousness dwells.” Sounds like Peter and Paul were thanking God for one day LESS. It seems to me that everyday we should thank God for putting the day in OUR hands. I hear a lot of Christians telling God that they are going to put the day in His hands. I don’t quite understand that because everything is in God’s hands, including the days. As far as I can see, the real miracle, the real special thing, is that God puts the day in OUR hands, and gives us the freedom to use it as we see fit. We can use it for good or bad; for blessing or cursing; for making the world a better place or worse place; to bring beauty and productivity into the kingdom, or ugliness and destruction. God has put the day into OUR hands, and it seems to me we should thank God for that and seek His guidance for the best way to use the day to glorify and honor Him. It seems to me that Christians should not live in the world and go to church, but that we should live in the Church and go into the world. God calls us into a community of faith, into the Body of Christ. We best flesh out our “personal relationship” with God, within the framework of fellowship within the Church. God doesn’t want no “Lone Ranger” Christians who don’t participate in a Christian Community. “Lone Ranger” Christians who want to live in the world and occasionally go to church. No, God calls us to follow Him as a body, as a group of disciples whom He sends out into the world to be salt and light; to be healers and helpers; to be pro-claimers of the Good News that God is inviting people into the Kingdom of God.